In a galaxy long ago and far away, there was no God. Certainly not the talking, walking version from the Hebrew Bible and New Testament who counsels, exalts, blesses, troubles, sees, hears and touches. What is it about the Star Wars galaxy that engage millions worldwide in near religious devotion? December 18 will be forever sacred for many as The Force Awakens us! Star Wars characters emerge grand in our imaginations — the somber Darth Vader, the boasting Han Solo, and take-charge Princess Leia. R2-D2, a curiously endearing machine worked its way into my heart with its stubby little body, bleeping voice and wide, round eye. Let’s beam down from space for a moment to meet local Jedi Master Shaye Whitmer. Whitmer, who makes his own light sabers, is quite convincing from head to heart — by day he teaches sixth grade chemistry and astronomy; by night he builds his summer camp, Saber Academy. We’ve got the themed playthings covered in our Star Wars, STEM, and Shopkins gift guide. Let it show! is a wild sleigh ride through the holiday arts in December, highlighting the dozens of entertainment adventures that await your family. Delight your brood with magical music and mistletoe or classical Nutcrackers debuting around the region. This month we also welcome a fabulous new column, Full Plate, from local foodie and mom Angela Stowell, of Ethan Stowell Restaurants fame. We look forward to an ongoing conversation with the Stowells about how to feed and connect with our families. With all the sparkle of gifts and shows, we all still may be “Reaching for something greater." Our feature profiles how four local families define spirituality. My family, like yours I presume, races through our workweek feeling likes it is one nonstop work day. This is the time of year to BREATHE. 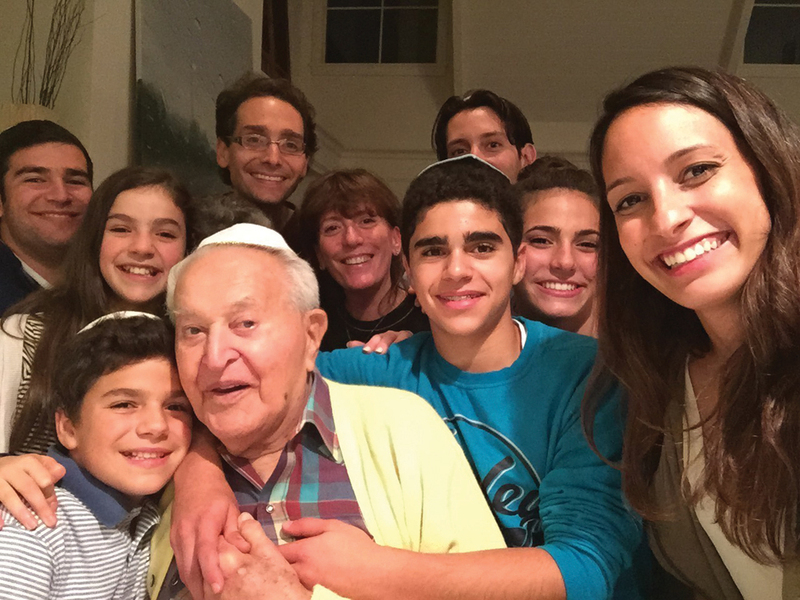 Our family steps into a sacred space every Friday night at sundown as we observe Shabbat. I’ve taken the best of my ancestors’ past practices and merged them into my children’s futures. I drop my work each Friday afternoon, start baking challah, grocery shop between risings, and transform ParentMap’s world headquarters to blessed gathering of family and friends. This keeps me sane, centered, and on Shabbat we elevate our minds to a question of the night that engages and often challenges us all (“How would you handle Syrian refugees in light of the Paris attacks?” “What do you love about America and what don’t you like?”).